These words may serve as a good summary of our 500th anniversary celebration of the Reformation. It has been the goal of this blog to show that we can still deepen our understanding of God’s Word by reading it alongside our fathers in the faith and learning from their insights. 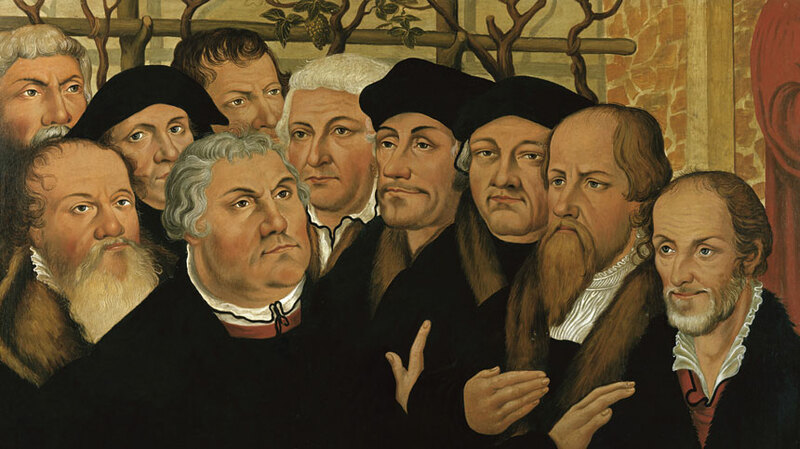 We should never think that we’ve advanced so far that we can go without the treasures that were bestowed so richly on the church of the Reformation. Because they hold forth the truth, they will always be applicable and relevant. This is the first part of any anniversary celebration: looking back. 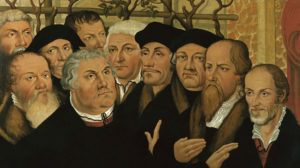 But because we believe that the one holy Church will continue forever (Augsburg Confession, Article VII), we would be remiss if we didn’t also take the opportunity at the end of this anniversary year to look forward. The best way to look forward at a moment like this is with a spirit of thankfulness. 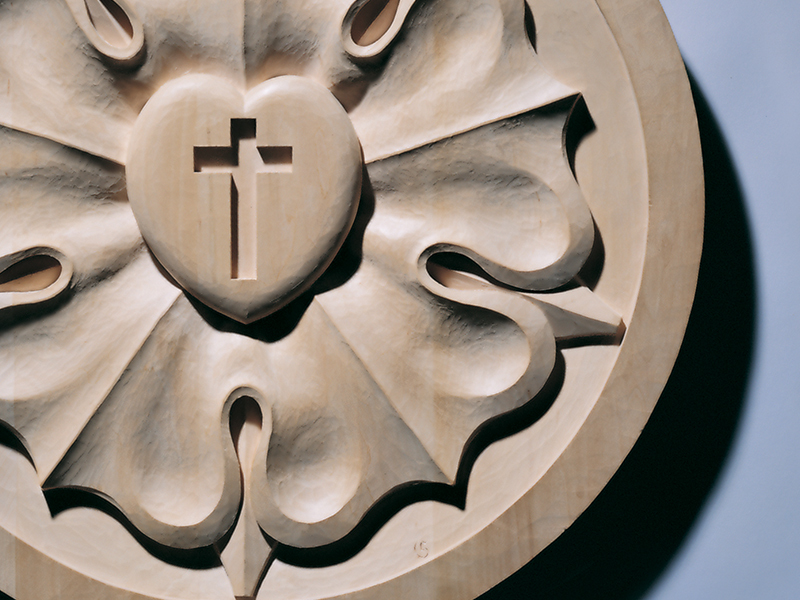 We are thankful for the wealth of wisdom at our disposal, wisdom from 500 years and more of teachers in the faith. We’re thankful for examples of stouthearted confession and godly living as we face the future. Every generation has had to articulate the faith again in its own time, letting its own language be shaped by the everlasting truth. There is confidence in knowing that we don’t have to figure this out all on our own. We have a solid foundation upon which we can build. We can also be sure that there will be trials in the next 500 years. We will certainly have the devil, the world, and our sinful nature attacking us at every opportunity. But we also have the assurance that Christ is with His Church. He is with His Church in His Word as she reads, hears, and studies it. He is with His Church in His body and blood at the altar week in and week out. He is with His children in the promises of Baptism. He is with us in the mutual conversation and consolation of the brethren. We recognize this with thankfulness—thankful that He has been with His Church, guiding her through storms and dangers for the last half millennium and thankful that He has promised to do so for the next as well. This is, as our forefathers confessed, not because we have done anything to deserve this, not because we’ve been so impressive or worthy, but only because of His grace. His grace alone is our source of hope and joy. So we give thanks to the Lord now at the end of this anniversary year that He has allowed the summer rain shower of His Gospel, as Luther called it, to remain with us at this time. We look back at how the Lord has connected us to the saints at all times and places by giving us a common confession of the faith. We look forward to the time ahead, getting ready for the good works that the Lord has prepared for us beforehand, honing our confession for today with the words of the Reformers, and applying it to the situations at hand. As we move out into the next 500 years, our faith is in Christ alone, for in Him the kingdom ours remaineth. The Rev. Tony Oliphant is pastor of Redeemer Lutheran Church, Elmhurst Ill. and manager of the Reformation 500 Blog.